Difference between revisions of "Jason Scott"
[[Jason Scott]] is a digital historian and archivist who specializes in early microcomputer history and dial-up bulletin board systems. He is the webmaster of [http://www.textfiles.com/ textfiles.com], a collection of BBS-era textfiles that has been open to the public since 1998. In 2001, he began filming a documentary about BBSes called "BBS: The Documentary", an 8-episode mini-series about BBSes spanning 25 years and totalling five and a half hours in length. This documentary series was released on 3 DVDs in early 2005. In late 2005, Jason announced he had begun work on a documentary about text adventures called [[Get Lamp|GET LAMP]]. He has been filming throughout 2006 and 2007 and currently plans to release this film in 2008. In late 2005, Jason announced he had begun work on a documentary about text adventures called [[Get Lamp|GET LAMP]]. He has been filming throughout 2006 and 2007 and currently plans to release this film in 2009. He is also known as '''jscott'''. Jason Scott is a digital historian and archivist who specializes in early microcomputer history and dial-up bulletin board systems. He is the webmaster of textfiles.com, a collection of BBS-era textfiles that has been open to the public since 1998. In 2001, he began filming a documentary about BBSes called "BBS: The Documentary", an 8-episode mini-series about BBSes spanning 25 years and totalling five and a half hours in length. This documentary series was released on 3 DVDs in early 2005. 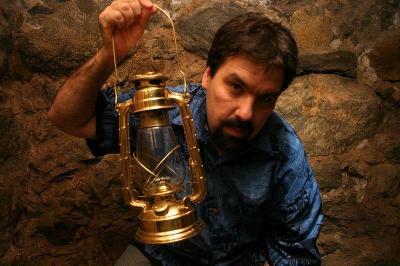 In late 2005, Jason announced he had begun work on a documentary about text adventures called GET LAMP. He has been filming throughout 2006 and 2007 and currently plans to release this film in 2009. He is also known as jscott. Get Lamp: The Text Adventure Documentary. Jason Scott Sadofsky - at Wikipedia. Jason Scott Sadofsky - at the Internet Movie Database. Jason Scott - at Vimeo. This page was last modified on 24 November 2008, at 20:02.